This exercise is performed as part of a back routine. To start this movement, place your hands on the widest part of the bar or handles using a pronated grip ( hands facing forwards). From this position pulling through your elbows, pull the bar/ handles down. This next point depends on the type of machine used. With a cable lat pull down, lean back slightly and pull the bar to the top of your sternum whilst squeezing the shoulder blades together. 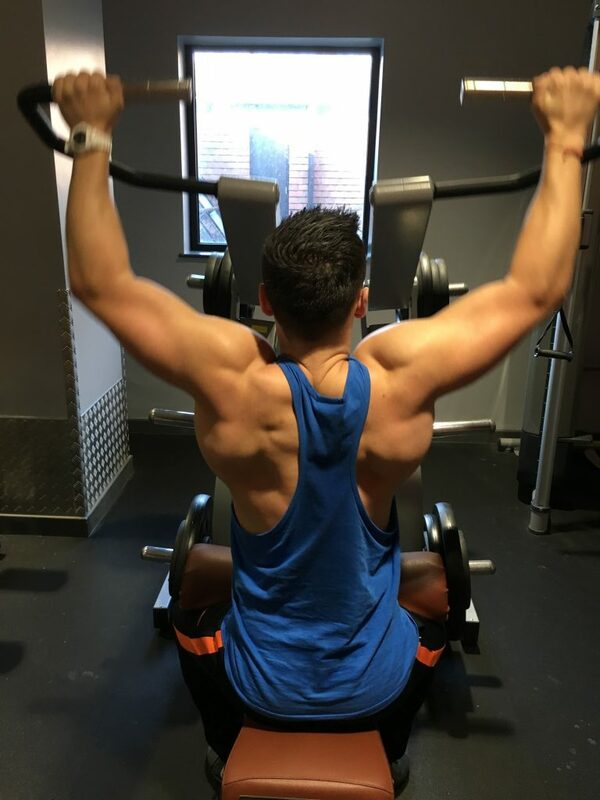 With the other variation, the lat pull down machine, plate loaded, sit up as straight as possible and pull the handles down to mouth level whilst squeezing the shoulder blades together. Also when performing this, imagine that your elbows are trying to meet behind you, which allows for a greater contraction.